Pirate COSTUME BALL - Louisiana Pirate Festival in Lake Charles! Be sure to check out all the exciting events offered May 3-13 at the Louisiana Pirate Festival! Grab your mateys and head to the Louisiana Pirate Festival Costume Ball for an enchanting evening with costumes, Caribbean decor and the high energy party band, Mixed Nuts. Be sure to purchase your tickets in advance so you won’t miss out on the fun! Come in costume or create your own “pirate look” in special attire for the evening. The party will feature a cash bar, dancing, and opportunities to take home fabulous prizes from the “Message in a Bottle” fundraiser to benefit St. Nicholas Center for Children. Read below for more details. Note: You must be at least 21 to attend. Click here for ticket information! The Louisiana Pirate Festival is adding a premier event to the 2018 festivities. 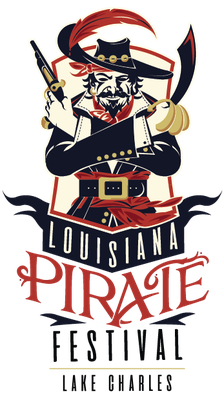 Join us for the inaugural Louisiana Pirate Festival Costume Ball on Friday, May 11, at the Lake Charles Civic Center’s Buccaneer Room. The festivities begin with an opening reception from 7:30-8:30 pm, featuring a complimentary welcome cocktail from Bayou Rum and pirate-pleasing cuisine from several local restaurants. The Whiskey Bay Rovers will also be there, playing seafaring tunes at the reception! From 8:30-11:30, party like a Pirate to the sounds of the Mixed Nuts, praised by many as “the best special events band in the country”. “As guests arrive, they will be enchanted by the Caribbean feel of the ball, with parrots, palm trees and festive pirate décor. We cannot wait to transform the space into a wonderland of the islands to create the perfect atmosphere for an event to remember. 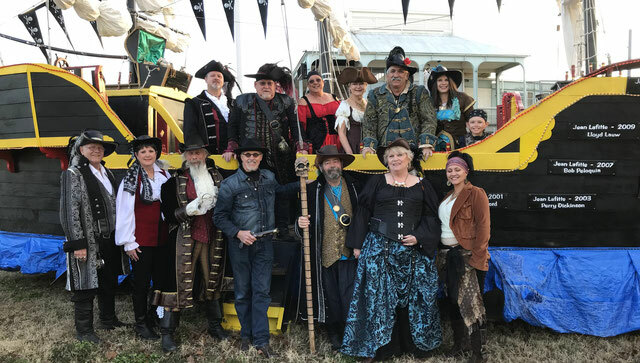 I am encouraging everyone I see to make plans to attend this incredible pirate costume ball,” said Anne Monlezun, co-chair of the Louisiana Pirate Festival Costume Ball. The ball also has a “Message in a Bottle” fundraiser aspect that will benefit the St. Nicholas Center for Children. Tickets for the ball are $45 for a single entry, $75 for a couple and $400 for a reserved, premium table of eight. Pirate attire is encouraged and you must be at least 21 years old to attend. Louisiana Pirate Festival Ball committee co-chairs are Anne Monlezun and Kathy Granger. Other members of the committee include Eric Zartler, Jimmy Bastow, Kimberly Albrecht, George Barbier, Aaron Beale, Briggs Becton, Sandra Dartus, Mona Duhon, Denise Fasske, Russ Grantham, Amy Grimes, Shelley Johnson, Randy Lanza, Mickey LeBlanc, Cyndi LeJeune, Michelle McInnis, Angel Papadimitiriou, Brant Parish, Annette Richey and Lisa Smith. The Louisiana Pirate Festival Costume Ball is sponsored in part by Bayou Rum. Tickets for the ball are available on Event Brite.